Manitou & Pike's Peak Railway, "The Cog Wheel Route"
The Manitou and Pike's Peak Railway, also known as The Cog Wheel Route, has been in operation since the late 19th century, hauling guests up the side of the mountain for which it is named. The cog system was one of the few railways, outside of early interurban and streetcar lines that served nearby resorts and amusement parks, specifically built for the tourist industry. The M&PP is certainly not your conventional railroad although it has been quite successful over the years hauling passengers and maintaining a high level of demand, even in this day and age of electronic toys and gadgets. For many years the Pike's Peak line utilized conventional steam locomotives as primary power for its trains although this was later changed to diesel-electrics, which is still the preferred method today. If you ever happen to be in the Colorado Springs area a ride aboard this historic operation is a must. The views alone are worth it! The idea for what became the Manitou & Pike's Peak Railway would never have been possible were it not for the tourism industry that sprung up in nearby Colorado Springs. As early as the 1870s westward explorers recognized the shear beauty of the Rocky Mountains' Rampart Range and the town of Colorado Springs was founded on July 31, 1871 by William Jackson Palmer. The new municipality quickly grew with hotels, spas, and other attractions settling there as well as the surrounding towns of Colorado City, Broadmoor, and Manitou. By the late 19th century the new tourist destination just south of Denver also boasted the services of four major railroads including the Colorado & Southern (Burlington), Colorado Midland, Atchison Topeka & Santa Fe (Santa Fe), and Rock Island. 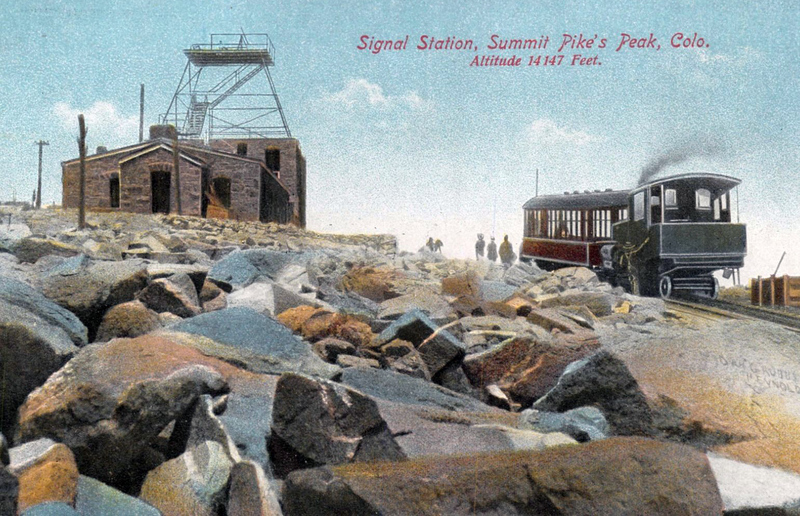 By the 1880s with tourism to Pike's Peak and the surrounding mountains already well-established the first attempt at constructing a railroad to the summit for visitors was chartered in 1884. It was to use standard adhesion to scale the mountain with a ruling grade of 5% and switchbacks to keep grades as manageable as possible. While some grading was completed the plan stalled due to money issues. So, a cheaper alternative was decided upon by building a plain dirt road for wagons up the slope. Before this latest plan could be completed Zalmon Simmons rode a mule to the top of the famed summit and was so awestruck by the beauty that he firmly believed it should be available for the general public to see and experience as well. Simmons was already a successful businessman who had founded the Simmons Beautyrest Mattress Company. 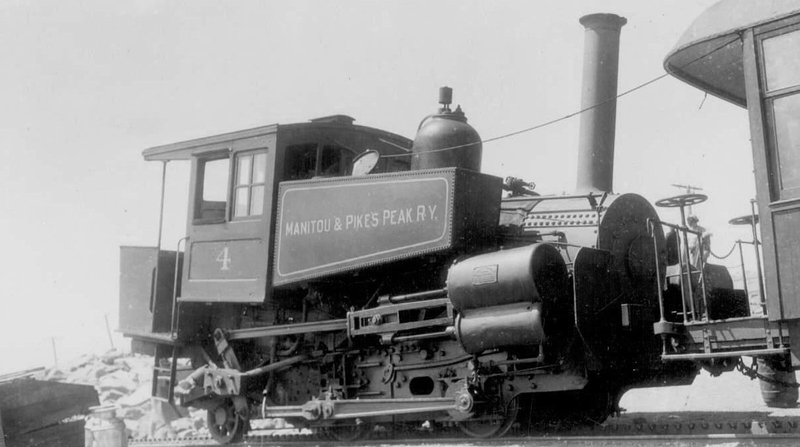 Realizing that a railroad would be the best and most efficient means of transporting guests to the top of Pike's Peak, and with resources already available, Simmons founded the Pike's Peak & Manitou Railway in 1888. The company sold $500,000 worth of stock to finance the project and Major John Hulbert was named president. After the railroad's founding Simmons' role in the operation seemed to dwindle as other names took over such as R.R. Cable, then president of the Rock Island, along with his son. 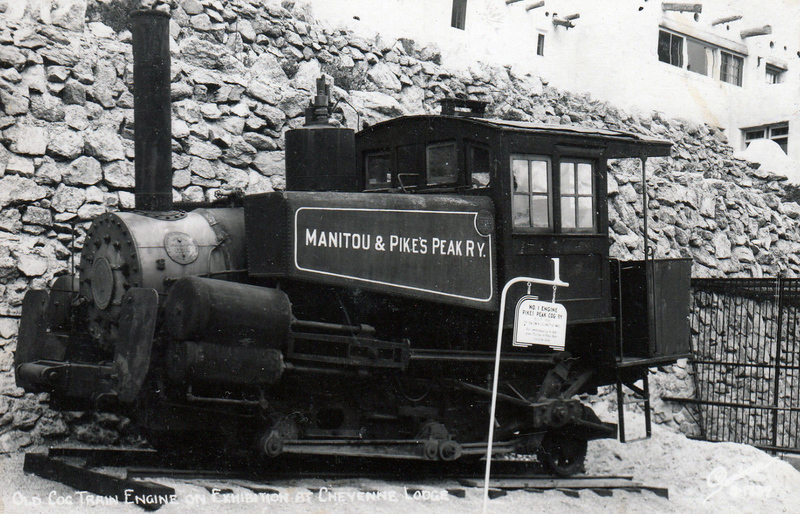 In 1889 the road was renamed as the Manitou and Pike's Peak Railway and began construction within the year. 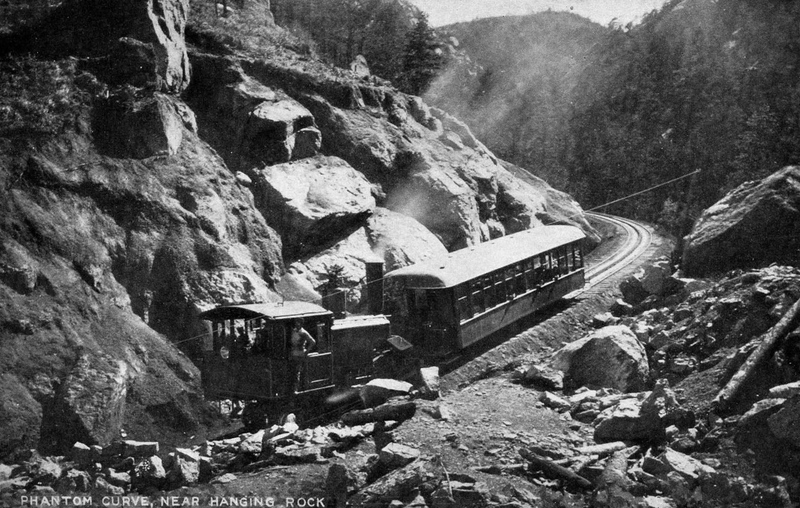 However, instead of using a traditional adhesion railroad given the incredibly steep grades promoters decided to try a cog, or rack, railway system that essentially used a fixed gear-like device in the middle of the tracks to help the train gain better traction ascending the mountain. It was decided that the Abt rack system would be employed, which was designed by Germany's Roman Abt, and had proved to be the most successful due to its stability, reliability, and gentle riding qualities. Essentially, Abt's design used two bars, placed side-by-side with upward facing "teeth" that were staggered with the locomotives' pinions engaging each, which allows for better ride quality. The rack has proven its worth over the many years it has been in service and the Manitou and Pike's Peak Railway still uses it today. In 1890 the M&PP was opened about half way to the appropriately named Halfway House Hotel and by 1891 the route was completed to the Pike's Peak summit at 14,110 feet, 8.9 miles from Manitou. The original power for the M&PP was traditional steam locomotives, which featured two pinions in the front and two in the rear to engage the cog. Altogether the company wound up with six steamers; #1-5 were 0-4-2 designs that burned coal while the newer #6, an 0-6-2 wheel arrangement, used oil. After new ownership in 1925 by Spencer Penrose, efforts were put in place to replace the steam locomotive fleet with a gasoline-powered railcar the first of which arrived in 1938. The idea was to find a locomotive easier to maintain and their efforts continued in 1939 when they received five more streamlined cars, built by General Electric. However, instead of being gasoline-powered these units used diesel-electric propulsion just like a main line locomotive. Both the gasoline and diesel-powered designs proved very reliable and really were far easier to maintain over the steamers. From that point forward the steamers became backup power only until permanently retired in the early 1960s. The newest power on the M&PP also began arriving during that decade, built by the Swiss Locomotive & Machine Works they are bright red cars that look somewhat like a streamlined interurban car; the first two were purchased in 1964 with two more arriving in 1968. Finally, the latest two cars were acquired from the same manufacturer in 1976 and are a bit larger than their predecessors. All six of these locomotives came about due to growing demand and have also allowed the M&PP to operate year-round as of 2006. Prior to this their traditional summer season of mid-May through mid-September was the norm with no operations whatsoever during the fall, winter, and early spring. Still, off-season scheduling is on an as-needed basis and if the line is clear of snow and safe for operations. 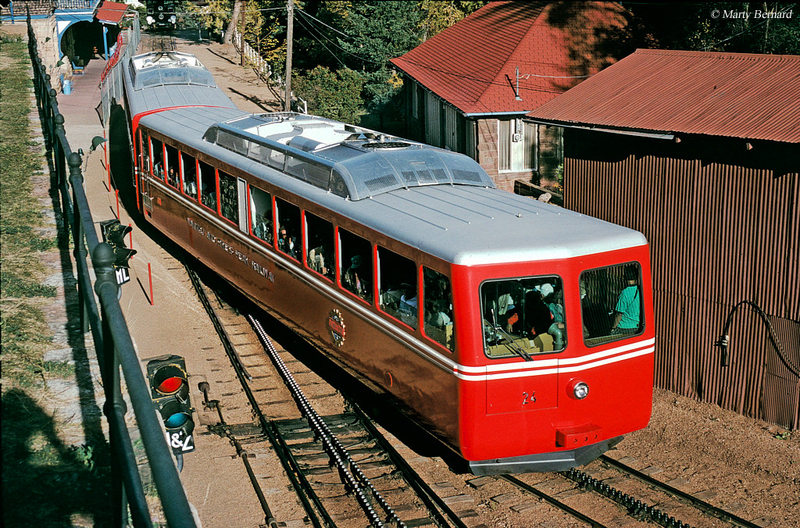 To learn more about the Manitou and Pike's Peak Railway please click here to visit their official website and plan your trip.